HMRC statistics indicate that out of 945,000 company cars, some 200,000 are still driven by people who are paid private fuel allowances. Yet there is little to recommend this policy, from either the employee’s or the employer’s perspective. Drivers perceive private fuel allowance as a perk, when in fact it is probably costing them money. The problem for employers is that this misconception can make it difficult to remove the facility. One alternative is to discontinue the allowance from a certain date, so new employees do not receive it. With existing employees who do gain, that employee can be bought out by calculating the difference between the taxable charge and the actual cost of the fuel and then grossing up that difference for tax and national insurance charges. “The employee can be made cost-neutral and the employer can still make cost savings too,” says Peter Eggeman, a consultant at Zenith. 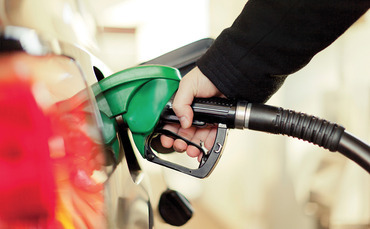 The taxable car fuel benefit for 2015/16 is calculated by applying the car’s CO² benefit percentage bracket to the fixed car fuel benefit charge of £22,100. For example, £22,100 multiplied by the benefit in kind (BIK) percentage multiplied by the employee tax bracket (20%/40%). The employer is also liable for national insurance on the value of the benefit. And it gets worse: the government is committed to increasing the fuel scale charge multiplier by at least the rate of inflation. Generally, the tax paid by drivers exceeds the amount they have spent on fuel. In the case of a 40% tax payer driving a car with 109g/km emissions and returning 55mpg, and with fuel prices continuing to drop, the employee would need to drive 20,000 (personal) miles a year to make it worthwhile; many drivers are unlikely to cover even half that in a year. “We have done a review for a large company with 300 drivers who have free private fuel and if they all voluntarily opted out, the drivers would on average save £650 per year and their employer would save £1,400 per year, per driver,” says principal consultant at Lex Autolease Paul Lippitt. There are a number of options: pay and reclaim; use fuel cards and let employees have free private fuel; use fuel cards and deduct private fuel; and reimburse for business miles covered. The most common means of reimbursement is to use the HMRC advisory fuel rate (AFR), which is published every quarter. HMRC predicates AFR on an average basket of vehicles and calculates the pence per mile on current fuel costs, hence the quarterly revision. The figure covers depreciation. For example, for a two-litre BMW 3 Series, the current reimbursement rate would be 11p per mile, with no tax liability for either the individual or company. If the driver receives more than that, the company is giving a BIK, on which the employee pays tax and the employer pays national insurance. Either non-company car drivers (grey fleet) can claim approved mileage allowance payments (AMAP) at 40p per mile or, where all business mileage is reimbursed to the employee by the employer at a rate that is below AMAP allowances, the employee can claim tax relief on the difference between the respective mileage rates through the annual tax return. Employers can also reimburse company car drivers the exact amount spent on the fuel consumed on business trips, which is where fuel cards come in. “For many companies, fuel cards offer the most manageable option, as they provide a further credit facility for the business, helping cash flow for both the employee and employer,” says divisional managing director at Pendragon Vehicle Management Neal Francis. And card statements show where drivers are filling up, allowing companies to ensure they are using the cheapest outlets – and they can marry up mileage with fuel consumption to see how employees are driving, giving managers the means to encourage more economical driving. In short, fuel cards provide a clear and auditable record. In addition, “paying drivers the actual cost of fuel ties in with the whole-life cost approach to setting car policies and links in with using the most efficient vehicles,” says Paul Lippitt. And with economical vehicles, this is likely to cost less than paying AFR, which is worked out on a broad average. Accurate mileage capture is essential to separate business and personal miles, and submitted mileage should be checked and signed off by a line manager in the same way as any other company expenses. No tax is due where employees pay for all their private mileage when using a company car. This entry was posted in Uncategorized and tagged company taxation, personal tax by clarelondon. Bookmark the permalink.